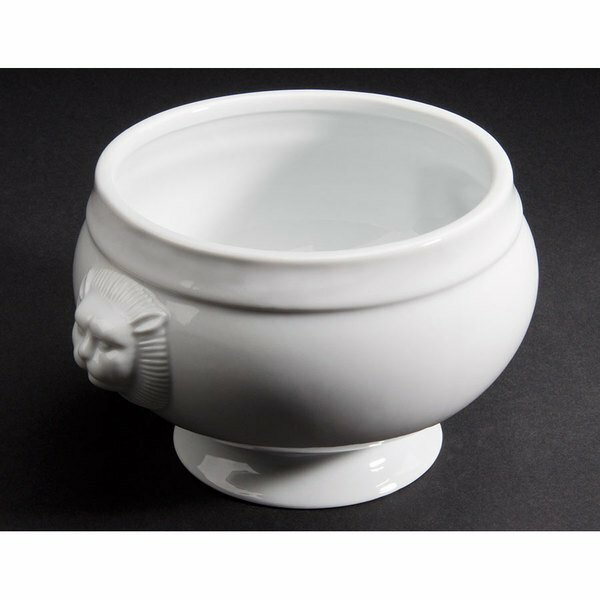 Featuring a lion's head with a fierce, bristling mane embossed on opposing sides of the bouillon, this Lion Head 32 oz. bright white china bouillon is a unique addition to any table setting. Its wide body rests atop a small base for additional elegance and support. It is perfect for serving soup, gravy, and other toppings.